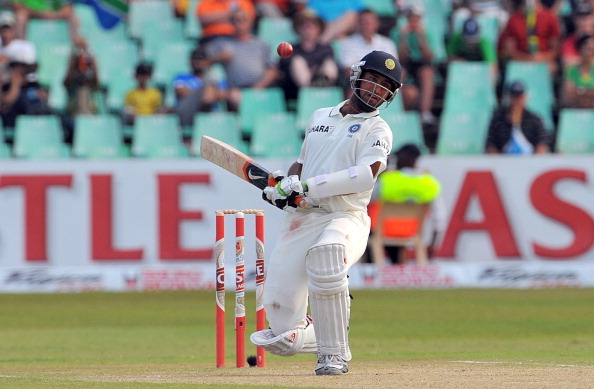 Is there more to Cheteshwar Pujara being sidelined than just the injury concerns? If ever there was a doubt in Cheteshwar Pujara’s credentials as a Test specialist, it has been put to rest once and for all with the just concluded Test series against South Africa. When it comes to the One-Day internationals, the popular notion is that he is being ignored due to fitness issues – a myth which I try to dispel here besides adding why it is entirely preposterous to buy into this whole idea of ‘Pujara needs to be preserved for the longer format’. There are a couple of events which need to be revisited to make a case for establishing the fact that Pujara is not being sidelined for fitness issues. First up, the One-Day international series against England in India in January, 2013. It was during this series that Pujara was first drafted into the ODI squad, at the cost of a misfiring Virender Sehwag. The selectors dropped a hint by specifically stating Pujara could bat at any position where the team wants him to and added that a batsman of his calibre would be required keeping in mind the new changes to the format (new balls from either ends). With Gautam Gambhir not in the greatest of form, no back-up opener in the squad and Ajinkya Rahane not making the most of his opportunities, Pujara was expected to make his debut at some point of time during the 5-match series. As anticipated, the openers failed to deliver. Rahane was the first one to make the way. It was then the Indian captain MS Dhoni pulled the rabbit out of the hat by promoting Rohit Sharma as the opener. The decision hardly made any sense as Rohit was a proven failure at that point of time and the gamble to play him as an opener had backfired terribly during India’s tour of South Africa in 2011, when he was woeful against the moving ball. Yet, Dhoni chose to give a chance to a batsman who had 80+ opportunities previously to show he had nothing to offer ahead of someone who was technically better and had not been given a single shot at the international level. The Mumbai batsman has since then filled in the role admirably well. While I would not call the move as a success till he delivers outside Asia, to his credit Rohit has all along been displaying excellent temperament. I still stand by my stance on the ploy – Rohit ahead of Pujara was not wise at all, but miracles do happen. And no, the Champions Trophy 2013 in England cannot come to his defence. The ball did not move around an inch, did it? Not just in India’s matches, it was pretty much the case throughout the entire duration of the tournament, which played into India’s hands big time. Just because the matches were played in England doesn’t mean it needed to be only on alien pitches. So it stands, Rohit has to deliver outside the sub continental conditions to justify Dhoni’s decision making as it came at the expense of pure quality of Pujara and the career of few other equally deserving players like Manoj Tiwary and Subramaniam Badrinath. It would be fair to say that the selectors played their ace in Pujara but Dhoni completely ignored it. We will soon find out who stands to lose because of that decision. I will come to the conclusions on the fitness issues of Pujara in relation to his selection after presenting my second case. What is MS Dhoni’s role in Pujara’s omission from the ODI team? Dropped right away from the very next series, 6 months later, the national selectors pushed for Pujara for the second time in a year during India’s tour of Zimbabwe. Dhoni was not a part of the travelling team as the selectors had opted to rest him. Finally he made his debut in the fourth match, after India had won the series 3-0. Unfortunately, he failed to capitalise on the two chances with scores of (13 and 0) and has since then been out of contention. • If Pujara’s fitness is such a serious concern (as is being believed) to not even consider a player of his quality for the ODIs with the World Cup 2015 in challenging conditions, why was he then selected at first hand not once but twice not so long back as the first replacement (no back-up opener on either occasions)? • Haven’t the team physios made Pujara’s fitness concerns (if any) that can cut-short his career if he plays ODIs (as is being feared), clear? If they are not expected to volunteer, are selectors so reckless to not know about a player’s full background before going for his selection? • The person who best knows about Pujara is the player himself (in consultation with his personal medical team and the team’s as well). Why hasn’t he come forward to say in public or in person to the selectors that he would stay away from other formats to reduce the work load? Is he risking his future by getting along with it despite knowing that his only dream, which is scoring runs self-admittedly, could very well be shattered if he pursues other formats? I hereby assume that the questions raised above would be enough to make the fitness factor fall flat unless you take the group of physicians, selectors and Pujara to be unprofessional or callow.